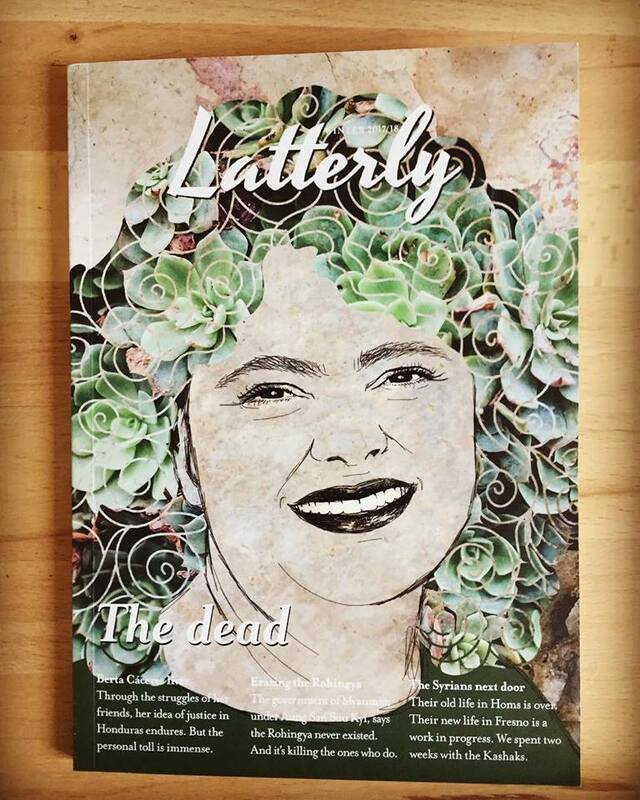 We are very happy to receive the last issue of Latterly Magazine (Winter 2017/18). The cover was illustrated by us and features the portrait of Berta Cáceres, a Honduran activist with an incredible life story, murdered at age 44. The background of the illustration is rough and hard, as her life. The colour palette is based on plants and soil because the woman was an environmental activist.